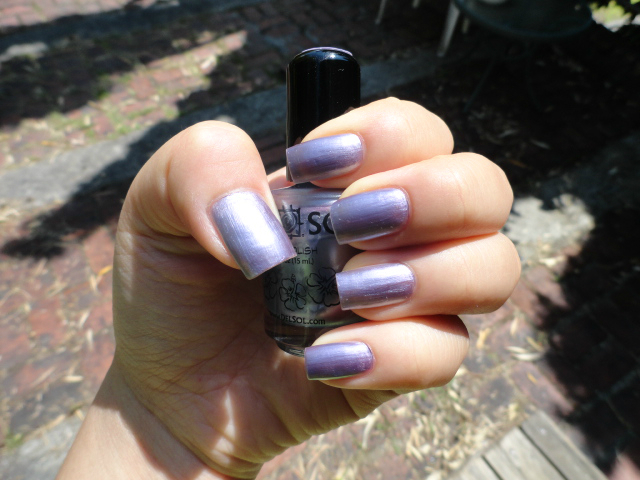 I’m taking a little detour from the Chicago Trip to this AMAZING nail polish someone gave to me as a gift. It’s sooo cool. 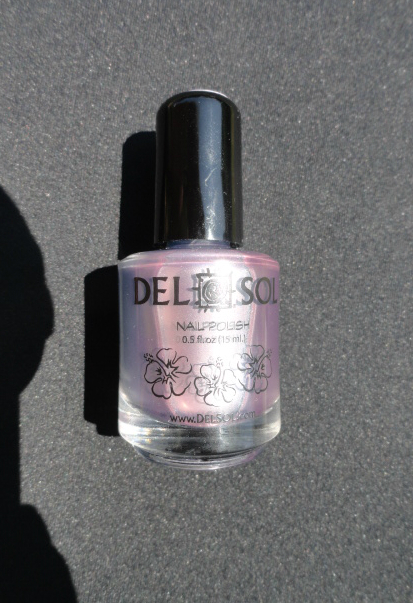 If you haven’t heard of Del Sol products you need to check them out. They specialize in products that change color in the light. 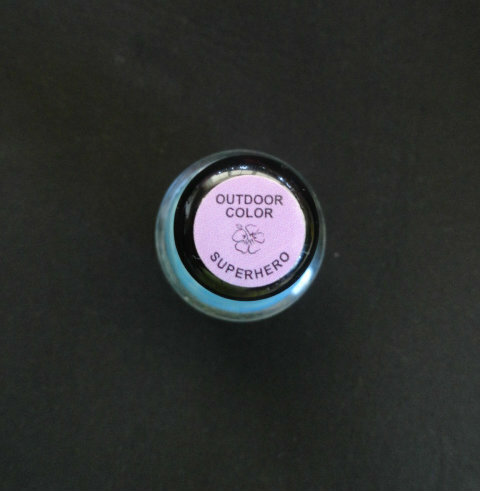 I got their color changing nail polish in Superhero Pink. It’s pretty awesome. Before sunlight, it’s a frosty blue. After sunlight, it’s superhero pink. It’s kind of hard to tell the difference in the picture; but I’m telling you guys, this stuff really works. It’s pretty cool. Yeah, so I just had to share this with you guys. ^^ Idk why I thought it was just soo awesome. ^_^ Have a great day today!